Last week when our neighborhood garage sales were going on, I walked past a house that was having a “plant sale”. I’ve never actually heard of a plant sale before this, but since that one I have noticed two others in the area. Each of them were quite full of buyers so I had to stop and look at the economics behind such a sale. First of all, I have been growing my own plants from seed for years. In fact, this year, I planted about three dozen tomatoes from seed. They were only a small part of the number of seeds from one packet that I purchased five years ago. Yes, they say that seeds only last for the year they are sold, but I have been getting near perfect success with old seeds. The 36 plants I started a few months ago literally only took up a small 3 x 2 foot area near my sliding deck door. I could have easily planted more and not even missed the space. Okay, back to looking at how to make money on a plant sale. For starters, let’s look at the initial investment that you’d need to make. Let’s say that you want to grow 1,000 plants and that you want to have ten different varieties. That probably means that you’ll need to buy 20 packets of seeds, two of each variety. Of course, once you get good with plants, you can find plants that you can grow in your garden and then split into multiple plants or propogate in different ways. For example, dahlias are flowers that start with one tuber and at the end of the season yield about a dozen tubers for next year’s crop. Finding plants like this that are easy to propogate may make you money this year, but the people that buy them wouldn’t have to come back next year, since they’d have all of the new tubers for themselves. For that reason, it’s probably best to use mostly annual plants for your business. Anyway, back to the point, for starters you’ll need 20 packets of seeds. I just bought flower seed packets that were on sale for 33 cents each. Let’s assume you have to pay more of a retail price of about $1 each. The total cost so far is $20. Now, you’ll need more than just seeds to make good plants. You’ll also need good soil. For 1,000 plants, you’ll probably need about ten bags of potting soil. Right now potting soil is going for about $4 per bag. That means that you’ll need to spend about $40 on soil. However, this price can vary dramatically. You could spend as much as $10 a bag for the very best. Or, you could make your own potting soil in bulk by gathering the basic ingredients from farm supply stores. Or, when your business gets big enough, you can buy vegetable garden soil from a landscaping company for substantially less. Next, you’ll need to buy some planting containers. Seeds are typically started in very small containers. One slat can start about four dozen or more plants, so you’ll need about 22 slats. They cost around three dollars each at a local garden store, but you could find them cheaper in bulk or online. Twenty two slats will cost you about $66. Of course, you can forgo the slats and just plant the seeds in any shallow containers. You’ll also need larger containers that you sell the plants in. These should all look the same, so that your operation looks more professional. I’m guessing that you could get most of these for free by checking with your local home and garden stores, or by asking a local gardener or landscaper to save their empties for you. If not, you can buy them in bulk online or at a garden store for about twenty five cents each. One thousand containers would cost about $250. I’m guessing you could get them for cheaper if you shopped around. Now, the only other thing you’ll need is some space to start them. If you have a few large windows that face the South side of your house you can probably do it there. Otherwise, you can set up some grow lamps to get them started. If you are so inclined, you could also build a small greenhouse in your yard for this purpose, depending on the whether in your location. The costs from buying these items could be somewhat substantial, but for this purpose we’ll assume you don’t need the extra space. And if you do have to buy, it is pretty much a one time investment. Okay, so to grow 1,000 plants, you need to spend about $376. That’s about $0.37 each. Now, let’s look at the revenue side of things. Let’s say you are able to sell about 80% of the plants you grow, or 800 plants. The rest you can donate to churches or schools or sell at a flea market or farmers market. Hopefully, you can sell all of your plants, but if you were to sell 80 percent and you sold them for $4 each, you would make $3,200 in revenue. That would yield a profit of over $2,800, but there would still be some other costs involved. Also, the price you can sell your plants for depends on what type of plant and where you sell it. If you sell them at your own sale, you will get less than if you sell them at a farmers market where people are expecting to pay a premium for the local, organic plants. The other costs that you have will be advertising. You can probably advertise for free on craigslist, as well as some other garage sale classifided sites. You’ll have to put up signs around the neighborhood if it is your own plant sale. If you are selling at a farmers market, you’ll have to pay whatever fee they charge to sell your stuff there. Going forward, each year you may be able to expand your business. If you have a plant sale one year and people like it, they will come back the next year. You should collect email addresses from buyers so that you can email them next year about your sale. Repeat business is a big reason to start your own sale. Over time, you can expand your business as long as you can keep selling them. While doing this kind of work is not easy, it is not that time consuming, and usually only takes up about 8-12 weeks of time. Depending on the size of your operation and the other factors mentioned above, it is pretty clear that if you have the space to do this, you have potential to make several thousand dollars each year by growing your own plants. And who knows, maybe down the road you can expand your business by selling to local garden centers, greenhouses and flower stores. There really isn’t any limit to how much you could earn from this. Maybe enough to buy your own greenhouse someday. Would that be something you wanted? Let us know your thoughts on a business of this type. Have you tried it? Do you think are figures are way off? Leave us a comment. I guess the idea of having a plant garage sale is fun and exciting! Obviously, the target market here is your neighbor so it does not necessary mean to prepare a grandiose marketing approach, a simple and effective management of plants plus information above them in banner sign makes it more enticing! I have to hand it to you for totally thinking creatively! I go to yard and garage sales all the time, and it amazes me how many people are still beating the pavement looking for that rare painting or book that’ll bring them thousands of dollars. I’m always advocating buying and selling “useful stuff” these days – your example of the plant sale is perfect! Every spring, my wife and I shop for plants. We just don’t have the time or space to start seedlings ourselves, so people who are selling plants get our business. I think you’ve got a terrific idea! If I talk about this at my site (I don’t update it every day, but when I do again, I’ll mention it), I’ll be sure to give you a link back, because I think it’s very useful information and something that is certain to spur some creative thinking with readers. Yours in the spirit of entrepreneurship! I really love to read your blog as well as the examples that you’ve mention. Thank you so much for this helpful contents. I am looking forward to see more example contents like this. I like this idea and believe one can make some good money with this, if they are into planting flowers and follow some advice. It might be important to think it all through before starting, but that’s the same for any type of business activity. This is, in theory, a very good idea for making extra money. 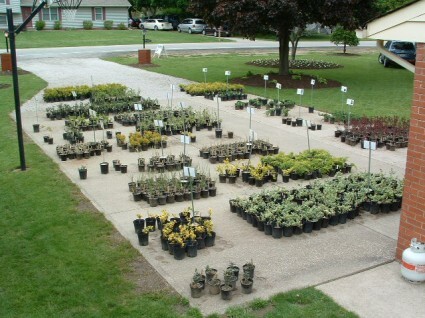 However, you have to check your local town and state regulations about having plant sales. In some place, it’s against the law to sell over a certain quantity of plants without a business license. Since plants are new products (ie not used like garage sale goods), you would also legally have to collect sales tax and remit it to your state. Now, having an occasional ‘yard sale’ where you also offer plants would probably not be a problem, since someone is unlikely to call the cops on you unless your shoppers block the streets, but it’s always best to check local laws before you do anything. It just goes to show that anything can be profitable. With the right attitude, you can be successful in anything you do. Hmmm, very ingenious. The two biggest factors of this enterprise would be: 1) do you enjoy gardening because if not this certainly will not be worth it (the hours of labor was not factored into the investment). 2) Realize your plants may not make it- as you become a new age farmer realize that bugs, frost, poor rainfall can all kill your plants and you may walk away with nothing…..so bottom line do it because you enjoy gardening and then make some money on the side to spice up the deal.